Shape up your 2014 slimdown in half the time—yes, seriously! 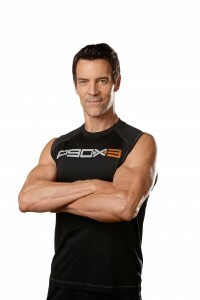 The highly anticipated third installment of P90X is here so you can continue to “do your best and forget the rest,” as fitness guru Tony Horton always says, in just 30 minutes. So what can you expect from the plateau-busting sweat sesh? For the first time, Horton introduces Pilates into the mix, as well as a separate warm-up/stretch DVD, Cold Start. “What I’m trying to do is introduce Pilates and yoga to men and more resistance training to women," he says. "Exercise science shows that if both sexes begin to understand how the other half lives, then they will ultimately be stronger, more flexible, leaner, more cardiovascularly fit and well-rounded. There’s a little warm-up [in each routine], but we get right into it to jam-pack as much as we can.” Who doesn’t like the sound of that? What does the 55-year-old former stand-up comedian have on his resolutions list for 2014? “I’d like to hold a handstand for a minute—a free handstand without a wall,” he says. Get this: He’s held one for 59 seconds before - twice. So close! But setting achievable goals are the key to success, Horton advises, adding that 40 pull-ups in a row is another thing he’s working on. “I’ve done 37. I think I was a monkey in a past life!” We'll stick with a goal of one...maybe two.